Virtual Umbrella was asked to work alongside Blue Hire LTD as VR technicians for the launch of Sky VR’s ‘Hold the World’ experience, held at the Natural History museum. The VU team helped install and oversee over 20 custom-made Oculus Rift stations amongst the ancient skeletons of the museum. 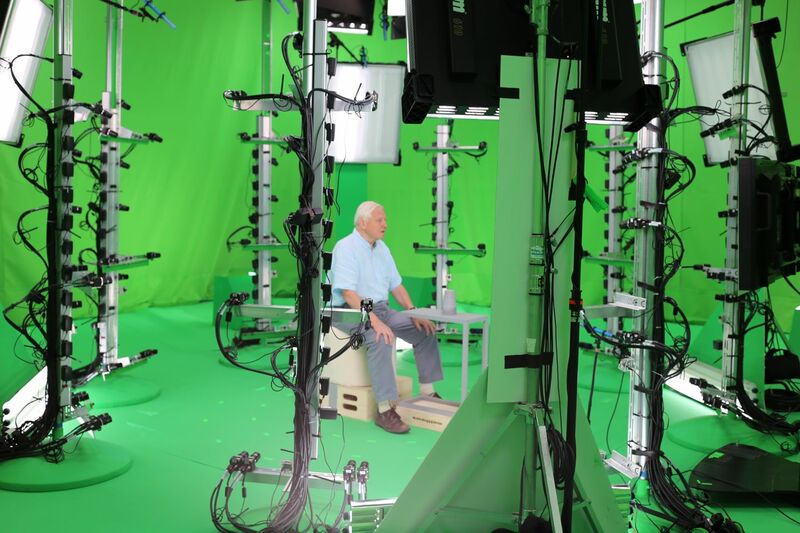 We played host to a visit from Factory 42, Sky VR staff, and Sir David Attenborough himself. Our work across the night involved setting up/taking down all of the Oculus Rift booths, testing and providing ongoing technical support to Sky VR’s demoers, and answering any detailed technical questions from the audience. Working on such a large scale also meant bringing together our extended VU staff for support.